Dr Islam is a lecturer in Health Management in the School of Health, Faculty of Medicine and Health, University of New England (UNE), Armidale, Australia. He completed his PhD from the School of Health, UNE. He also completed MSc in International Health from Queen Margaret University, Edinburgh, UK, Royal Tropical Institute, Amsterdam, The Netherlands, and Karolinska Institute, Stockholm, Sweden. He received his Bachelor (Honours) and Master degrees in Sociology from University of Dhaka, Bangladesh. He was a former Associate Professor and Head of the Sociology Discipline at Khulna University, Bangladesh. He is an Associate Fellow Australasian College of Health Service Management (ACHSM) and closely involved with a variety of Special Interest Groups. 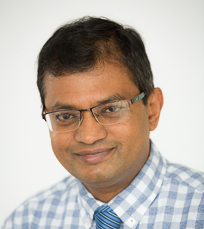 Dr Islam is an experienced academic in public health and the social sciences, who worked across Asia, Europe and Australia as academic and researcher for over 15 years before joining UNE. He is experienced supervisor with over 10 years supervising more than 20 graduate and higher degree research students, and also having several refereed publications including two books in health and social science areas. His academic, professional training and research project work has been in the area of health management, health care, public health, HIV/AIDS and sexuality. Health Systems, Leadership and Management, Safety and Quality in Healthcare, Public Health, Health and Well-being, HIV/AIDS and Sexuality.